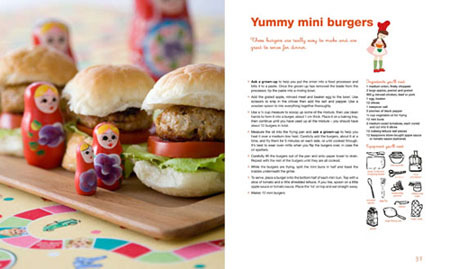 With that in mind, Babyology has searched high and low to find what we consider to be the best new cookbooks for kids. To make our list, each book had to be a feast for the eyes as much as the mouth, with recipes to entice the fussiest eaters without resorting to a single smiley-faced pizza or dinosaur-shaped nugget! While the cookbooks we chose are mostly written for children who can read (and cook) on their own with just a little adult help, we think they’re also perfect for parents to share with older toddlers and preschoolers. Because as parents ourselves, we know it’s never too early to start building a love of good food in your brood. We Love Food: Family Recipes From the Garden by Kirsty Manning-Wilcox and Peta Heine is one seriously gorgeous cookbook. 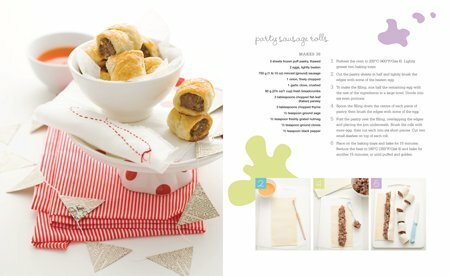 Beautiful styling won me over from the very first page while the mouth-watering food photography had my children lapping up recipes with ingredients that normally top their do-not-like list. Like Kirsty and Peta’s Zingy zucchini linguine. Delicious, and a new family favourite for us, but I do recommend detouring slightly from the recipe to hold the chilli when cooking for littlies! This one’s billed as a family recipe book so it’s not strictly kiddie fare. The emphasis is on using fresh seasonal produce from your own garden, if possible, or the greengrocer, if not. It’s divided into practical sections including breakfast, kids’ lunches, easy weeknight dinners, slow cooking, preserves and sweet treats, with recipes including sweet potato and ricotta fritters, baked snapper with ginger, garlic and soy, vegetarian fried rice, mashed potato with narry a lump in sight and golden syrup dumplings. We love how scattered throughout the pages are guides for growing and harvesting many of the vegetables and fruits used in the book’s recipes, including rhubarb, strawberries, potatoes, herbs, Asian greens and tomatoes. 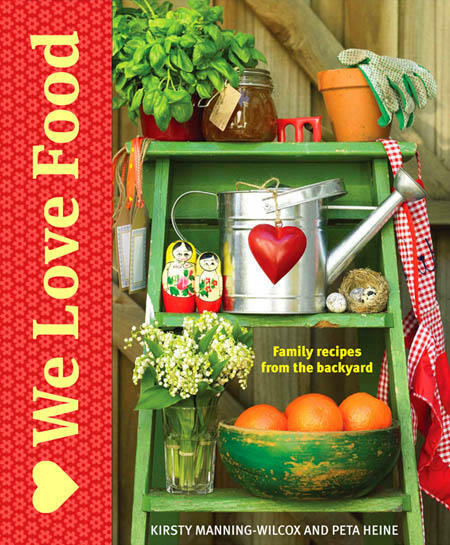 Grab We Love Food: Family Recipes from the Garden from Fishpond for $29.95 plus delivery. 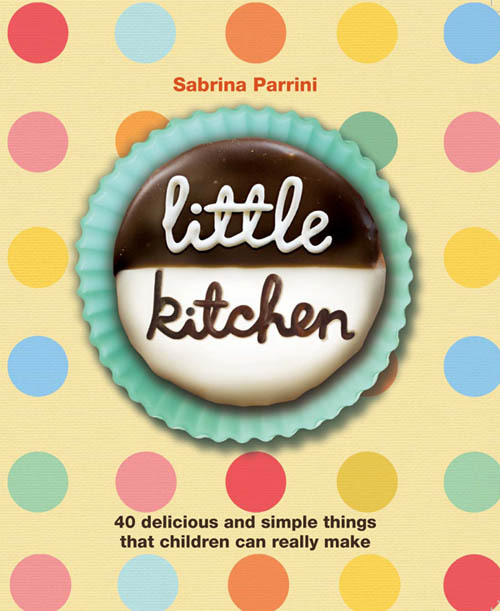 Little Kitchen by Sabrina Parrini is another one you’ll want to commandeer for your cookbook shelf. 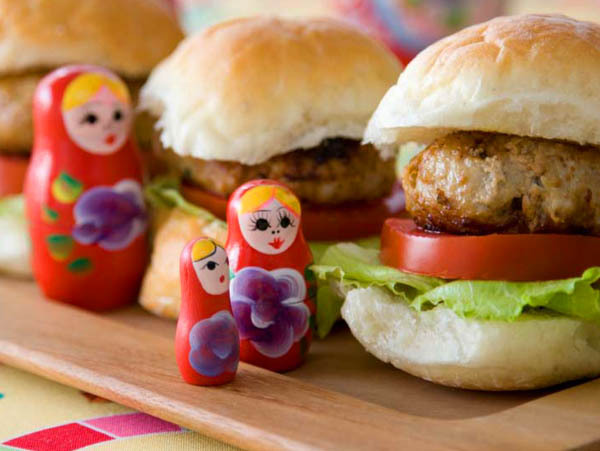 This one’s pitched right at kids’ palates so expect a stack of child-friendly recipes – forty, to be exact – such as potato croquettes, bite-sized BLTs, little egg and bacon breakfast pies, carrot and zucchini slice and tacos. Yum. The recipes here are not only designed to appeal to little tastebuds, they’re meant for kids to tackle themselves. With parental assistance where required, of course. You’ll need to work alongside young children or toddlers but we like how Sabrina’s included detailed instructions in each recipe so older kids know when to ask an adult for help. We also like how each recipe includes an illustrated equipment list with mini-diagrams of graters, wooden spoons and the like so even the littlest helpers can “read” and help out. Little Kitchen is available from Fishpond for $24.95 plus post. I Want to Be a Chef is a stunning new compilation of one hundred child-friendly recipes from the test kitchens at Murdoch Books that will have your offspring looking for an apron and a whisk faster than they can ask “what we havin’ for dinner, mummy?”. These are kid-friendly recipes, for sure, but there’s plenty that adults can chow down on too. Recipes are neatly sectioned into breakfasts, lunchtime and snacks, dinnertime and finally, sweets. All the pictures really are good enough to eat! My kids can already recommend the cheese pinwheels, potato and leek fritters, san choy bau and spaghetti with chicken meatballs. Trickier recipes, like pork and chive dumplings, mini shepherd’s pie and marble cake have step-by-step photographs to follow. There’s also a ton of smoothies and slushies to try – perfect for reluctant fruit eaters. I Want to Be a Chef is available from Fishpond for $29.95 plus post. 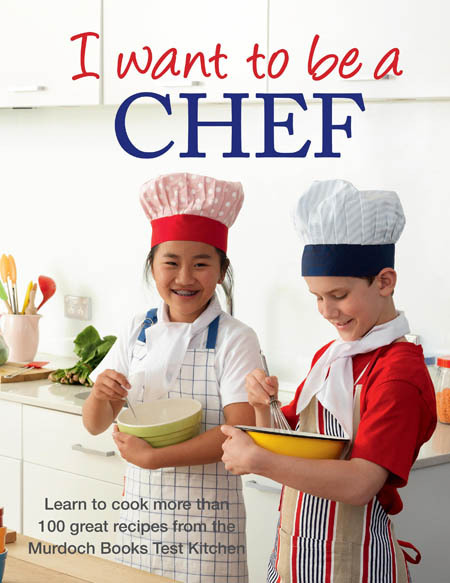 Publishers Murdoch Books have also released a second I Want to Be a Chef title that’s every bit as good as the first. Which is why it’s also on our list! I Want to Be a Chef: Baking has another hundred recipes, this time for baked goods, that kids can create and then devour. Recipes span savoury (you just have to try the parmesan, pumpkin and zucchini muffins) to sweet, with more cupcakes, muffins, biscuits and slices than you’ll probably ever have time to bake. Even with the kids’ help. This one’s especially handy to keep on the shelf for parents who, like me, tend to cater their own kids’ parties. The fairy wand biscuits, bat cupcakes and cookies shaped like pirate ships, martians and teddy bears scream birthday party. 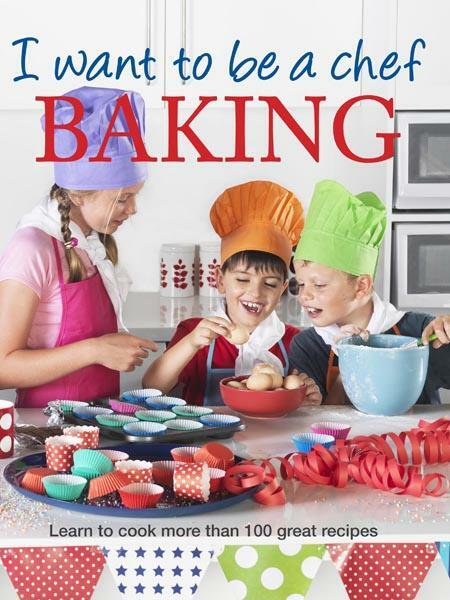 I Want to Be a Chef: Baking has a recommended retail price of $29.95 through Fishpond. Our final pick for cookbooks that deserve a place in your kitchen is The Silver Spoon for Children: Favourite Italian Recipes. 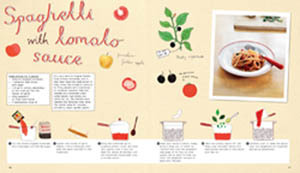 This one takes authentic recipes from Italian cooking bible The Silver Spoon and, with a little tinkering here and there, turns them into child-friendly fare for the littlest chefs in the house. Each recipe has detailed step-by-step instructions paired with the most charmingly hand-drawn illustrations so kids can follow with ease. 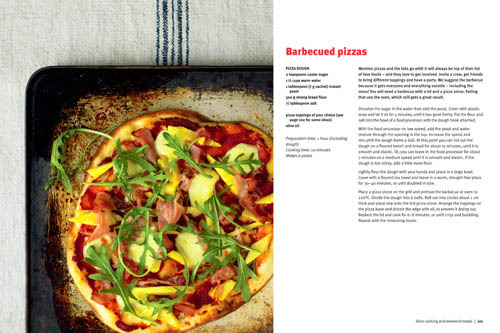 There’s pizza recipes (of course!) and a ton of different pasta variations (rigatoni with meatballs, baked macaroni with parmesan, linguine with pesto, potato gnocchi, and more). Trickier options include lamb roasts and hearty Italian beef or chicken stews. Like all the others, this cookbook has sensible child-friendly tips for cooking safely but also devotes two pages to techniques so older children can learn how to chop an onion or crack an egg. Bellissimo! 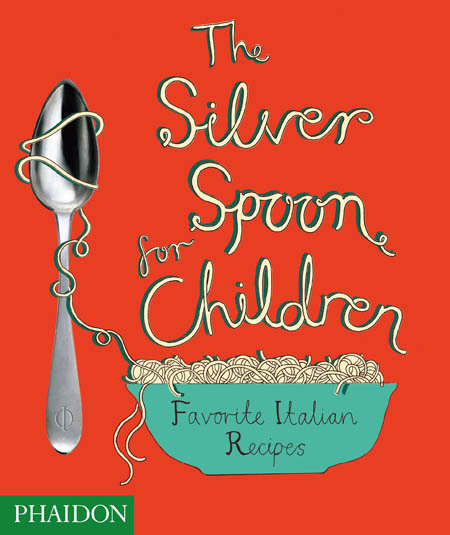 The Silver Spoon for Children: Favourite Italian Recipes is available from Fishpond for $23.97.